Installation view of Damien Hirst: Forgotten Promises at Gagosian Gallery Hong Kong, 2011. Courtesy Gagosian Gallery. 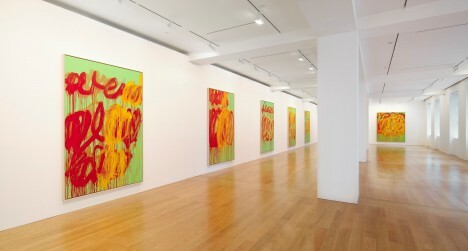 Installation view of ‘Cy Twombly: The Last Paintings’ at Gagosian Gallery Hong Kong, 2012. Courtesy Gagosian Gallery.